A one stop destination for all your fashion needs, Etashee offers the best of style in men, women as well as kids fashion. 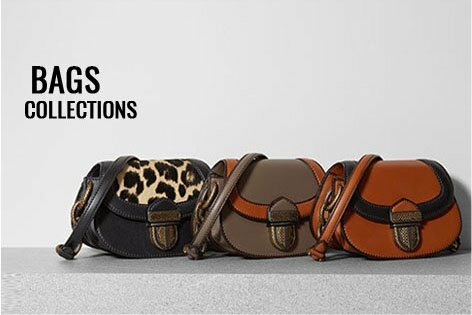 The large collection makes sure that your wardrobe is full of all the must have pieces and you don’t miss a chance to look chic and stylish. 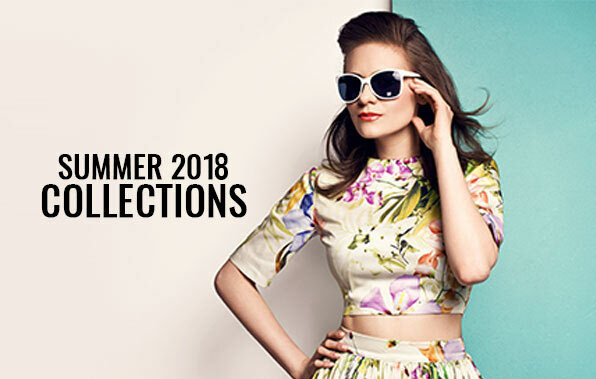 Whether you are looking for stylish casual wear, fashionable formals, elegant party wear or trendy footwear and accessories here you will find plenty of styles to choose from. 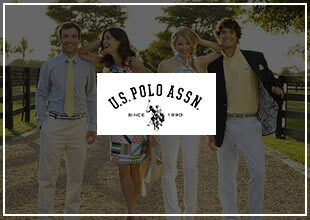 Come here to find the latest styles, both fresh and exciting, that are sure to transform your wardrobe. Find an irresistible collection of casual tees for men in a variety of colours, size and style. Upgrade your casual style with cool casual shirts for men and make an impression at office with our collection of men’s formal wear. We also have a range of stylish western wear for women including tops, skirts, shirts, jeans and shorts. Find stylish dresses including maxi dresses, sheath dresses, midi dresses and mini dresses. 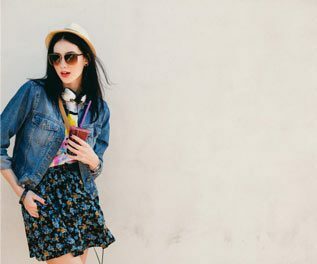 Showcase your elegant style with stylish skirt and get sporty with cute shorts. 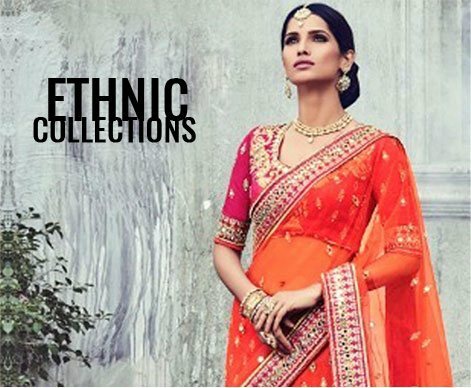 Update your ethnic look with stylish women’s ethnic wear such as salwar suits, kurtis and anarkali suits etc. 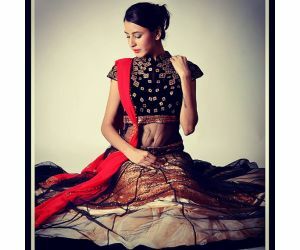 Enjoy the festive season with fashionable sarees and lehengas. That’s not all. Apart from men and women clothing, we also have a wide variety in kid’s collection. Now dress your little ones in style and let them win everybody’s love with their adorable look. Shop with your family and friends and enjoy an enhanced shopping experience with the Etashee app and shop from the comfort of your home. 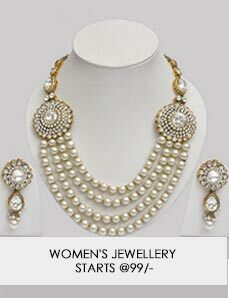 Show off your scintillating beauty with our alluring collection of jewellery for women to today. Explore our collection of statement necklaces, earrings, hair accessories, bangles, bracelets, anklets and everything else that will add to your modish look at affordable prices. 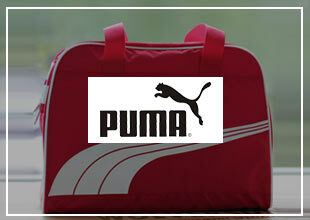 Get your hands on the trendiest bags for women and make your style stand out among others. 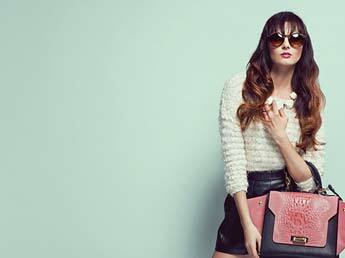 Here you will also find the most stylish handbags, clutches, wallets, totes etc. Strut on the streets in style with the trendiest footwear. 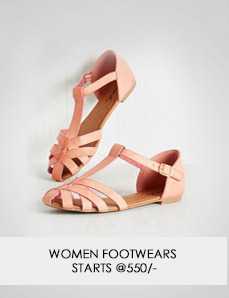 Etashee offers an enormous assortment of the most stylish women's footwear who hit a style statement with their shoes. 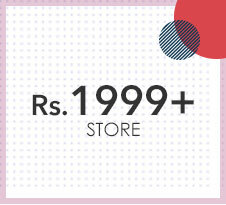 Shop for the latest range of heels, flats, stilettos, sneakers, boots, bellies and more that too at throwaway prices. 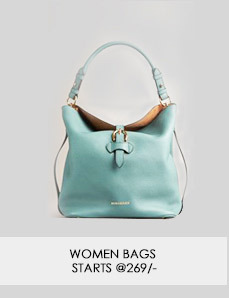 Also explore men’s shoes, wallets, bags, belts, watches and everything else you need to match your lady love’s style. Carry your stuffs in style with trendy bags and secure your money and cards with our range of wallets which are both durable and stylish. Watches have always been part of a practical wardrobe. 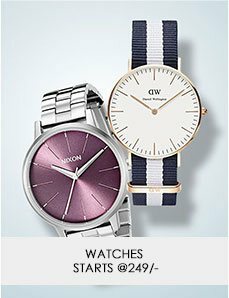 Shop our trendy collection of men’s watches and take your look to the next level. You want to buy new clothes every time, as you don't want to repeat the same again and again. 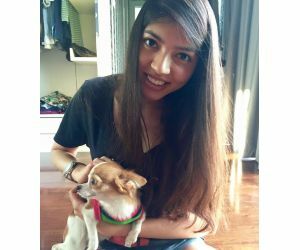 We completely understand your situation; the uploaded photos on Facebook unable you to wear the same top on another friend's birthday or get together party! Need not to worry; Etashee.com has already solved your problem. Sell your pre-owned clothes, accessories and footwear which are eating the space for your upcoming clothes and earn handsome cash too. Moreover, you can buy pre-owned fashion up to 80% discount rate. With a persistent goal on 100% customer satisfaction, it endeavours to offer a wholly hassle free shopping experience. By constantly recognizing the customer needs, it offers suitable modes of payment including easy cash on delivery, credit card, net banking and debit card. 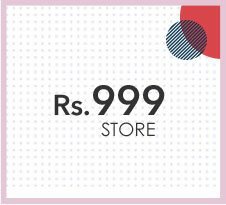 Loaded with affordable prices and lucrative deals, this online shopping portal successfully caters to the demands of people across numerous cities. When it comes to buying clothes for kids, comfort, quality and functionality are what we look for. However, this doesn’t mean that we don’t want to see our tiny tots in colorful, stylish pieces which will reflect their personality and give way to their emotions? 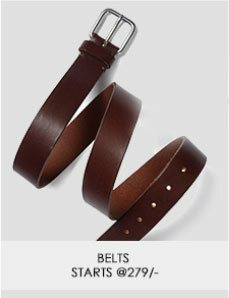 And finding this perfect amalgamation of both style and practicality is what makes shopping for kids such a difficult task for parents and relatives. But worry not! 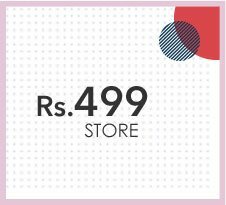 Etashee makes shopping for kids fun and easy with its exclusive collection of kids wear in fun patterns and exciting colors. The unique style and cute details perfectly matches the unbound energy and creative imagination of your children. Your kids are sure to enjoy wearing these clothes. These clothes are not only cute but are also comfortable and made from high quality material. If you want to stay stylish all round the year, you cannot miss out on your winter wardrobe. 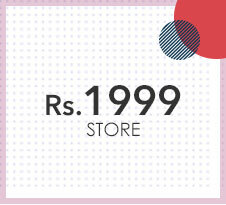 Buy winter wear online and get the best of all the latest trends. 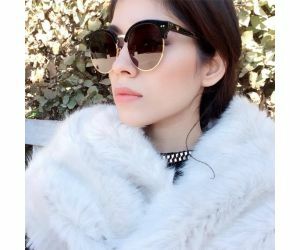 Online shopping gives plenty of reasons to revamp your winter look for gone are the days when winter was all about ugly sweaters and an endless number of layers making you look bulky and unfashionable. With an infinite number of colour, length, style and fabric at your disposal you can style these winter pieces in any way you want and look your fabulous best. The most versatile of the winter staple can be found in a variety of styles letting you style them for a different look every time you wear them. Besides, you can always layer your summer dresses with a chic leather jacket and knee high boots for a stylish winter look. If you want to complement your winter ensembles, browse through a whole range of accessories such as scarves, gloves, beanie caps, stockings, socks, mufflers and ponchos etc. Add a pop of colour to your dull winter look with a bright hued scarf or muffler or jazz up your winter outfit with a cute beanie cap. It is a great way to add a finishing touch to your winter look. You can also try wearing ponchos; they are great for making a style statement. Just layer them with your shorts, tights and ankle booties and look like a million booties. So what are you waiting for? Look chic, feel warm and shop the latest trends at Etashee and look smoking hot even in the dead of winter. 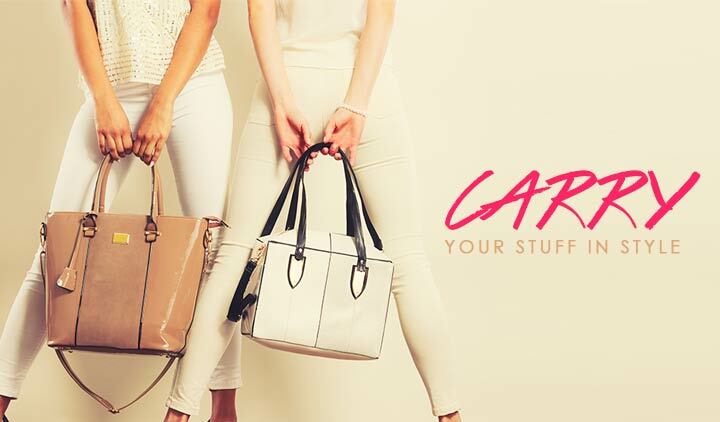 Get access of fresh fashion by Subscribing our Newsletter!